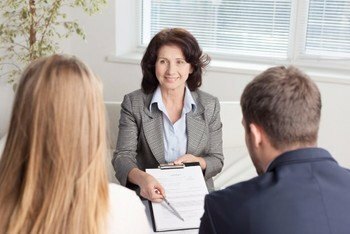 Do you need helping finding the right divorce attorney? Here is what you should know about picking the right person to represent you. You’ll want a trustworthy divorce attorney on your side, but beyond that, what you should look for in an attorney depends mostly on what you value and what you want to get out of the divorce. In most cases, though, you’ll probably want an attorney with whom you feel comfortable. Do you feel assured that your attorney is listening to you, and using your best interests to navigate? Will you get the attorney you pick and pay for, or will that attorney hand you off to others in his or her firm after the consultation? You want someone who can foresee problems and possibilities you wouldn’t – you also want someone with a reputation for creative, innovative solutions to the knotty problems of asset division, alimony, and child custody and support. You’ll want an attorney who can give you peace of mind and fight for a fair and equitable outcome for you and your children. In your first consultation, your attorney should be able to help you get a feel for the cost and timeline of divorce. You should start asking questions about strategy right away. What are the advantages of litigation versus mediation in your case? What percentage of that attorney’s cases go to trial? Is your attorney amenable to sitting down with your spouse and his or her attorney and having a settlement conference in the office? Be open about whatever is on your mind. No two divorce cases are the same: you want to know your attorney is listening to you, and ready to come up with creative solutions to meet your needs. Finding the right divorce attorney can be stressful. Give ours a call for a free consultation. New Jersey divorce attorney Tanya Freeman is caring and dedicated to all of her clients.